A cleanroom is a controlled environment where products are processed. It is a room in which the concentration of airborne particles is controlled to specified limits. Eliminating sub-micron airborne contamination is really a process of control. These contaminants are generated by people, process, facilities and equipment. They must be continually removed from the air. The only way to control contamination is to control the total environment. Air flow rates and direction, pressurization, temperature, humidity and specialized filtration all need to be tightly controlled. And the sources of these particles need to controlled or eliminated whenever possible. There is more to a clean room than air filters. Cleanrooms are planned and manufactured using strict protocol and methods. As an illustrative example could be this one. A human hair is about 75-100 microns in diameter. A particle 200 times smaller (0.5 micron) than the human hair can cause major disaster in a cleanroom. Contamination can lead to expensive downtime and increased production costs. Once a cleanroom is built it must be maintained and cleaned to the same high standards. Strict rules and procedures are followed to prevent contamination of the product. 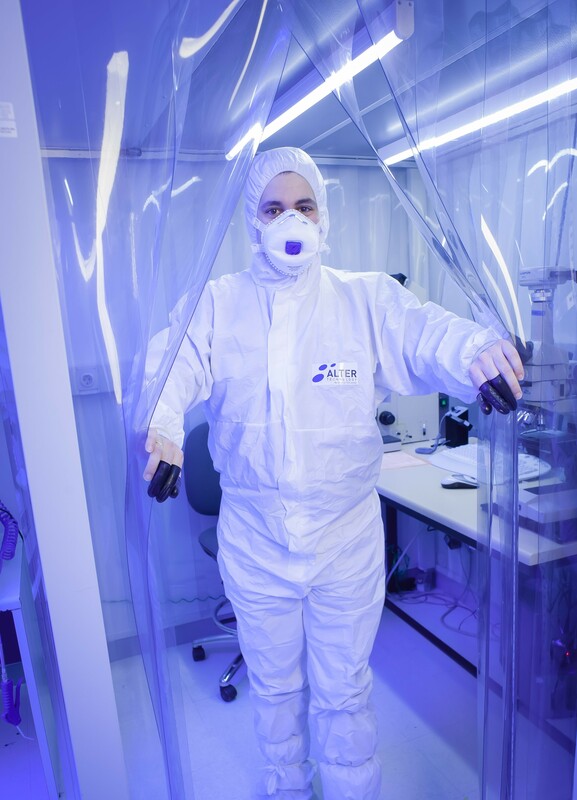 Alter Technology Clean Rooms has been recently certified for the highest standards and all our customers get the benefit of their facilities for the most demanding testing lab requirements.